Small to medium-sized businesses have a wide variety of security demands. To meet these needs, security as a service is increasing in popularity, but the hardware involved in setting up security has to be affordable, dependable, and easy to set up. This is where the Intel® i5 vPro NUC comes into play. Remotely manage your deployed devices with the secure, hardware-based vPro technology built into the Core i5 processor. Create an image and have multiple units pre-configured, working the way you expect them to. This i5 vPro NUC sports a 7th generation Intel® Core™ i5-7300U vPro processor with an average speed of 2.6 GHz and a maximum speed of 3.5 GHz with Turbo Boost. The vPro technology in this processor allows for secure, hardware-based remote management of the unit which makes configuring the device much simpler without compromising security requirements. With a maximum of 32 GB of RAM, you can always upgrade the unit to fit the growing security needs of a business as technology changes and the network becomes more complex. 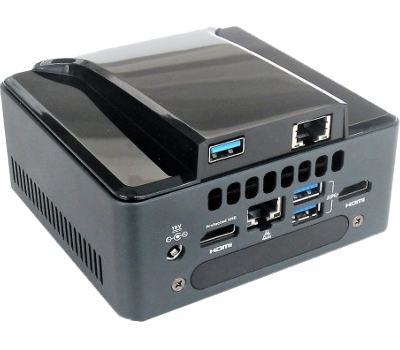 The i5 vPro NUC configurations also provide a clear upgrade path to a 1U Xeon server if a business outgrows the unit. It’s an Intel® device. Rest assured knowing that the NUC Security Appliance is going to contain rigorously tested, high-performance parts assembled by experts. 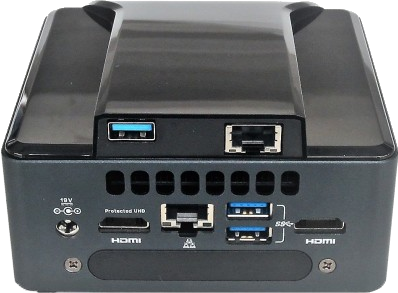 Intel and Simply NUC will be ready to assist you with your hardware needs. The NUC Security Appliance supports multiple free hypervisors such as Citrix XenServer, Microsoft Hyper-V Server, or VMware vSphere. The device is also compatible with can many IA applications such as Webroot, Fortinet, pfSense, ClearOS, and Endian. This makes setup more simple by avoiding complicated and expensive configuration requirements, saving you time and money before your next deployment. 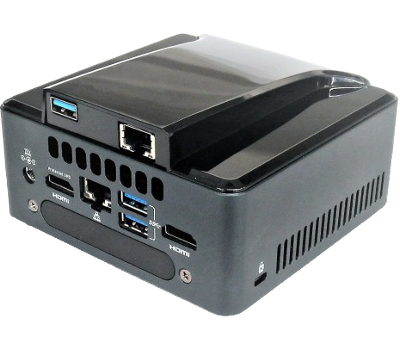 The Intel® i5 vPro NUC has been successfully tested at 40 small to medium sized businesses using 14 different applications. Security providers remark on the ease of deployment, consistent performance, and versatile configurability of the units in these tests. Most Windows compatible security applications will run on the unit, out of the box.